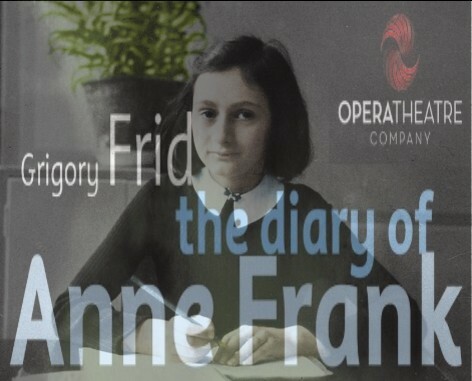 Droichead Arts Centre is looking forward to ‘The Diary of Anne Frank’, lined up in our venue on Friday. This fantastic opera is the very last production of the Opera Theatre Company which will be succeeded by the Irish National Opera next year. The production gets great reviews nationwide including the Irish Times. It’s time to tell you some more about Anne Frank’s extraordinary life story. The story of the Frank family began in Germany in the 1920’s when Otto and Edith Frank led a happy life, highlighted by the births of their daughters Margot and Anne. In 1933, in response to Hitler’s anti-Jewish decrees, Otto Frank opened a branch of his company, Opteka, in Amsterdam and began planning to bring his family there. The Frank family finally moved to southern Amsterdam in 1933 and Anne began to attend the nearby Montessori school, where she excelled. Anne made many friends and was an exceptional student. However, the family’s feeling of security collapsed when in 1940, Adolf Hitler and his troops conquered Holland and the freedom of the Jews began to be severely restricted. Dictates on where Jews could shop, swim or go to school became a part of everyday life. Aware of where those restrictions might ultimately lead, Otto Frank spent the year preparing and stocking an annex behind his business office at Prinsengracht 263 into a hiding place. On her 13th birthday in 1942 Anne received a diary as a gift from her parents. She immediately took to writing her intimate thoughts and musings. On July 5th, 1942, Anne and the Frank family moved to the “Secret Annex” adjacent to Otto Frank’s former office on Prinsengracht. When the thirteen-year-old and her family went into hiding from the Nazis, the diary went with her. She called it Kitty, and for the two years she spent in hiding, the diary was her solace, her confidant, her friend. What she recorded there were, in many ways, the ordinary thoughts and feelings of a teenage girl. But she was a teenage girl living under extraordinary circumstances in ominous times. Eight people eventually came to live in the secret annex. Anne’s famous diary captured two years of hiding in the attic above the store, but it ended on August 4, 1944, when their hiding place was betrayed, probably by one of the cleaning women working in the office in front of the annex. All those who lived there were arrested by the Nazis and deported to concentration camps. A few weeks later, as the Allies began retaking Holland, the inhabitants of the camp were moved to Auschwitz and later to other camps. At the gates of Auschwitz, Otto Frank was separated from his family. He was the only one of the original 8 residents of the secret annex to survive. Anne and Margot ultimately ended up in the Bergen-Belsen camp in Germany, after being evacuated from Auschwitz in October 1944. As starvation, cold and disease swept through the camp’s population, Margot, developed typhus and died. A few days later Anne herself, in April 1945, succumbed to the disease only a few weeks before the camp was liberated by the British. She was 15 years old. Though she never lived to see her 16th birthday, Anne Frank’s innermost thoughts scribbled on scraps of paper serve as an example to the millions of children who perished in World War II. We still have some tickets available. For info and tickets, please contact our box office on 0419833946 or go to our website www.droichead.com. This entry was posted on September 16, 2010 at 10:53 am and is filed under Opera. You can follow any responses to this entry through the RSS 2.0 feed. You can leave a response, or trackback from your own site.